As the great Kylie Minogue once said, “Victoria is the Italy of the pacific”, and everyone knows that Italy has some of the best food and wine in the world, and by that logic; the Victorian High Country’s King Valley is the best food and wine region in the entire universe (check the math, it’s all there). That’s why we’ve put together the ultimate gourmet road trip itinerary (which we highly recommend kicking off with a quick Rustic Roti Stack at Cafe The PreVue in Wangaratta). 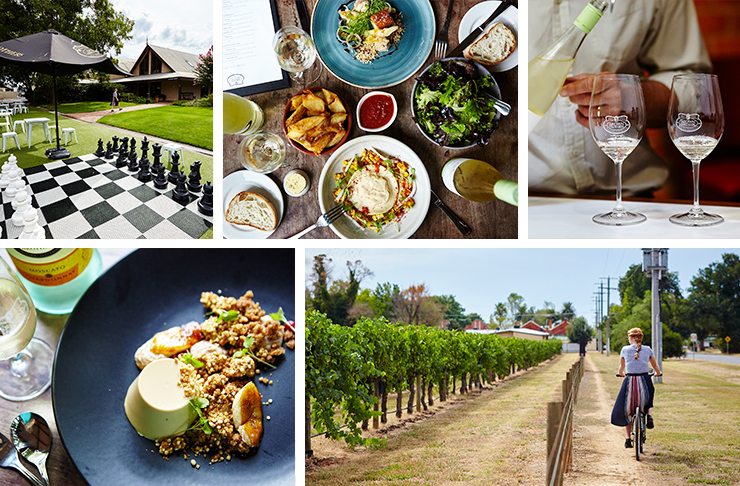 Here are seven stops every food and wine lover needs to make in the King Valley. Have you ever thought to pair a plate of smoked ocean trout ravioli with a 2015 Crouchen Sauvignon Blanc? No? Well, the Executive Chef at Brown Brothers’ award-winning Patricia’s Table Restaurant, Douglas Elder has and sweet Jezuz, he’s nailed it. 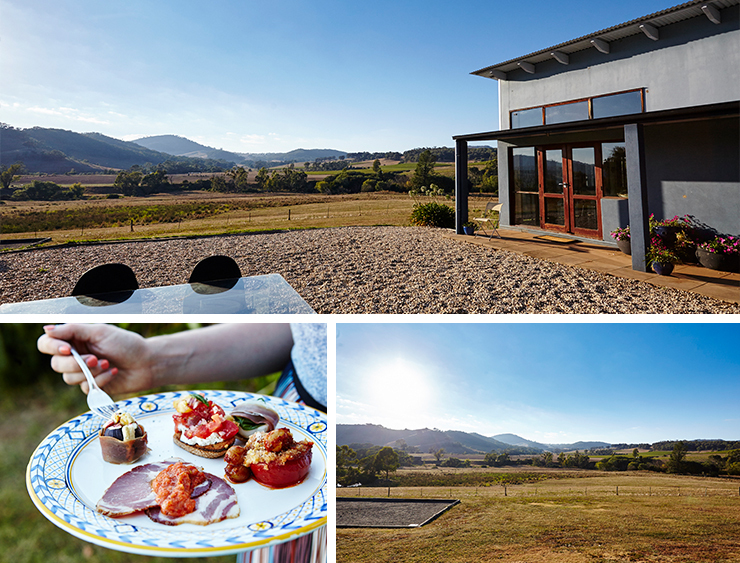 Not only can you treat yourself to award-winning wines complimented by gourmet dishes at the Milawa-based Winery, but you can also select from a range of lavish experiences that’ll make your friends hate you. These include tour, tasting and dining packages, hot air balloon rides (!!) and an all-inclusive three-day Brown Brothers experience. You'll need to keep your eagle-eye out for the entrance to the Sam Miranda cellar door, but you can rest assured—the wine is well worth it. Sam Miranda is a third-generation family-owned Italian wine label, which basically makes it the Meryl Streep of the wine industry. The cellar door features a modern wine tasting and cafe area that almost makes you want to take your shoes off it’s so ritzy. Here, you can be walked through the history of the Sam Miranda brand, as well as as many delicious wines. 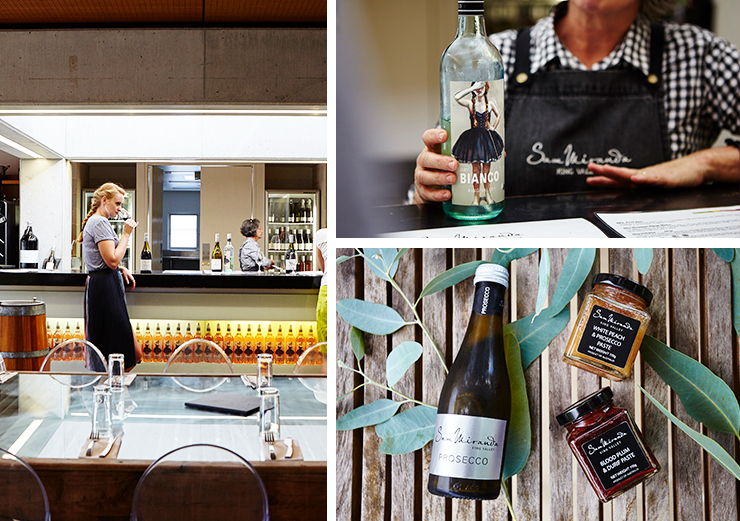 Amongst these is their 2016 Sam Miranda Rosato—definitely one to phone home about, and definitely one to enjoy with some delicious Mediterranean-inspired cuisine using local and seasonal produce, also coincidentally available in their cellar door cafe. Forget everything you thought you knew about farming because Tolpuddle is the only farm you’ll ever need to visit (assuming Honeycomb Maxibon farms are never invented). Picture this if you will: a sustainable small-scale farm in the Victorian High Country, populated by highly domesticated farm animals. The animals, all named after Orange Is The New Black characters, love to be cuddled AND produce high-quality dairy products which you can taste and buy in a newly-restored 1850s stone homestead. Tolpuddle's homestead features a 35 square metre ‘cheese cave’ purpose-built for private cheese tastings. 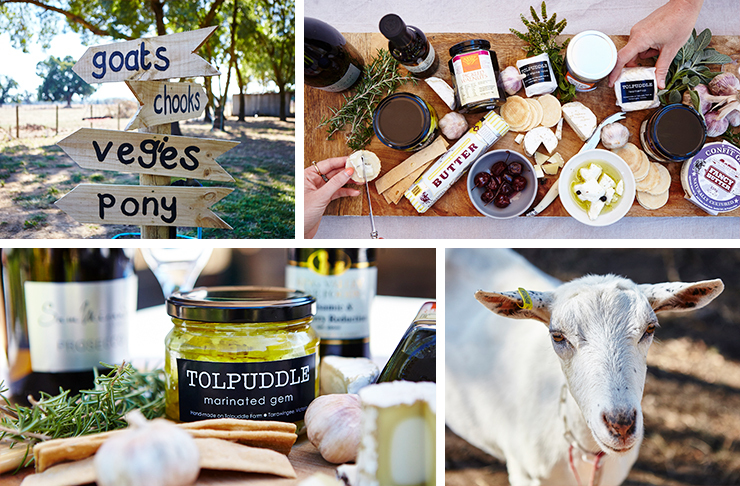 And then open your eyes, get in the car and plug ‘70 Rusholme Rd, Tarrawingee’ into your GPS because the goddam place is real and it produces some of the best goats cheese, milk, curd and chevre in the whole of Victoria. Everyone knows that the only thing better than wine is enjoying it with a hot plate of homemade gnocchi and fresh parmesan. Enter: Pizzini Winery & Cellar Door. 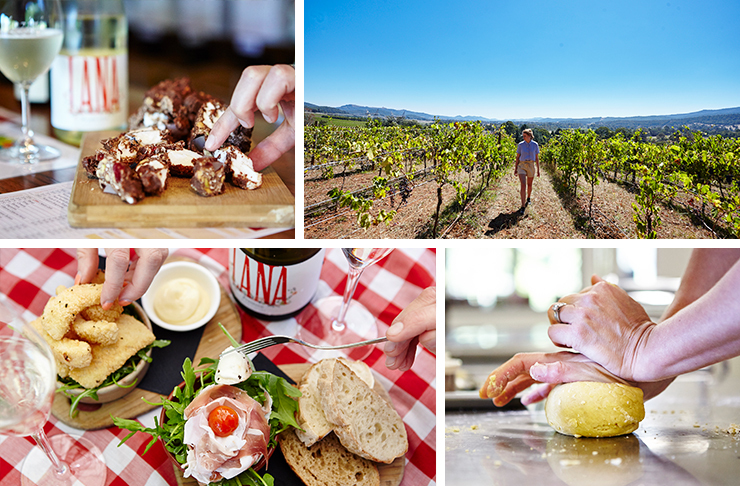 Located along King Valley’s famous Prosecco Road is a family-owned and run Italian winery who happen to be the best makers of prosecco-infused rocky road in the entire world, and who also host their own cooking school, A tavola!, led by the Pizzini matriarch herself—Katrina Pizzini. Aside from tasting their delicious wines, perusing their unnervingly good range of wine-related confectionary and conserves and learning to cook authentic Italian potato-based pasta, you can also visit their nearby eatery, Mountain View Hotel. Here, you can treat yo’ self to the likes of seafood linguini, slow cooked beef gnocchi and a 1kg pork knuckle if you’re feeling adventurous and/or borderline malnourished. Anyone who’s anyone knows that Scrubs jumped the shark after season eight, but also that Dal Zotto were the pioneers of Prosecco in Australia and we have them to thank for the best value for money sparkling in the whole of Victoria. Since releasing Australia’s first Prosecco in 2004, this second-generation Italian winery has established itself as the big-hitter of the Prosecco Road. More importantly though, they’ve absolutely nailed the margherita pizza at their Italian-inspired trattoria, along with polenta fries, open ravioli and pumpkin gnocchi. Not to mention, they’re the only known makers of stracchino cheese in the entire country. 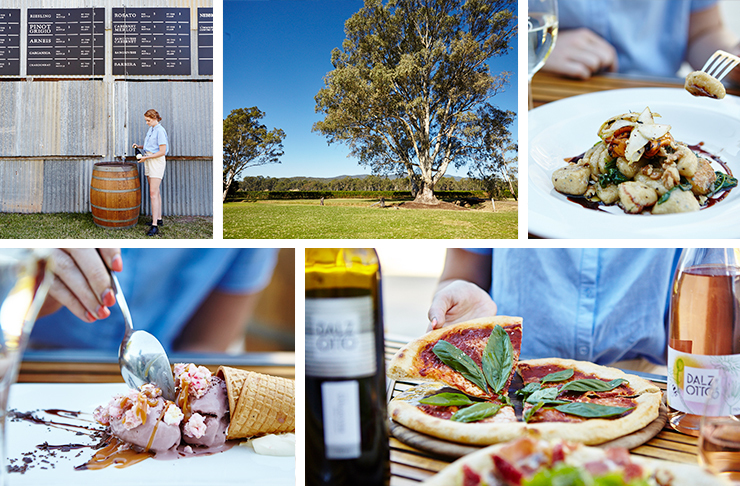 So basically, if you’re a fussy-palated foodie with an eye for lush landscapes and an arm for bocce (and a gob for drinking award-winning vino), then the Dal Zotto cellar door and trattoria is calling your name. If you haven’t tried a salted caramel buttermilk smoothie on the balcony of a newly-restored 1950s dairy, then your quality of life is in need of some serious probiotics. 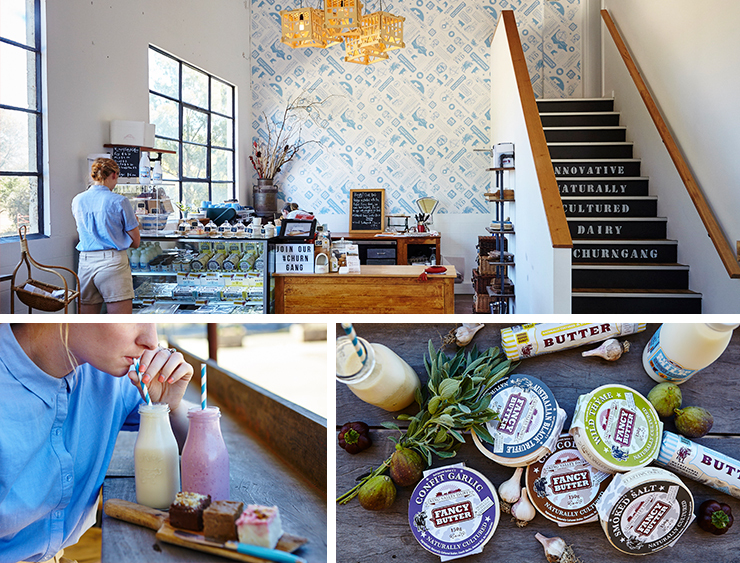 Naomi Ingleton’s King Valley Dairy company is a gourmet local produce sanctuary. Everything you thought could be done with butter, has been mastered. Chocolate butter? Done. Raspberry and white chocolate buttermilk fudge? Done. Coffee flavoured exfoliating kitchen and garden soap? Done and done and in the mail to Granny. And if the infinite possible ways of consuming butter in stunning surrounds isn’t enough to entice you, their one-year-old Maltese Poodle—Charlie—definitely will be. Nothing says romantic country getaway like taking time to recharge in nature—which is why Casa Luna is your King Valley gourmet country oasis. The secluded accommodation is owned and run by local couple, Gwenda and David, who greet you upon arrival, make your beds, cook your gourmet Italian dinner and then see you out with a delicious brekkie overlooking the valley at sunrise, without asking you to help out with the dishes even once. Each of the private rooms is fitted with mod cons such as air-con, a flat screen telly and wifi, but also classics like brown faux fur throws, retro printed poufs and a spectacular view of the King Valley that’ll make you forget you haven’t seen a star since Sandra Bullock sent George Clooney into the abyss of space in Gravity four years ago at IMAX. After a hard day of drinking wine, patting goats, drinking smoothies and making pasta, there’s no better place to rest your [well-fed but pretty] head. Melbourne’s an incredible city, but sometimes we all need to get out of town for a weekend. The Urban List has partnered with Visit Victoria to bring you great, regional getaway inspiration—the ultimate guide to Victoria’s regional gems.